Colony Lake is the most recent achievement of The Holiday Organization, one of the leading real estate development companies in the United States. Based in Westbury, Long Island, New York, the company has been developing homes in Florida for more than two decades and throughout the Northeast for over 50 years. Here in Florida, their masterpiece communities reflect the lifestyle of the buyers with spacious homes set amid tropical landscapes. Today, under the joint leadership of Gerald Monter, Chief Executive Officer, and his son, Elliot Monter, President, Holiday continues to earn a reputation based on experience, state-of-the-art design, innovation and uncompromising standards. The information listed below is a summary of the available units. The only one not listed in detail is Lot 2, as it is our model, and is available for sale, fully furnished. Ask your sales rep for details on price and furnishings etc. This luxurious 2,796 total sq. 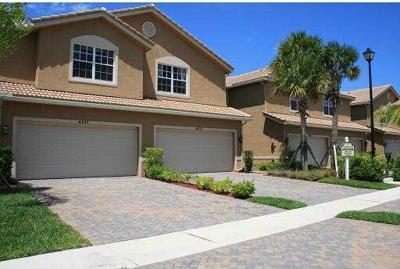 ft. a/c two-story townhome features 3 bedrooms, 2 ½ bathrooms, and a 2 car garage. Spacious master suite with two large walk-in closets, eat-in kitchen, includes appliances and has a gorgeous lake view. Low HOA, Fee Simple. This luxurious 2,854 total sq. ft. a/c two-story townhome features 3 bedrooms, 2 ½ bathrooms, and a 2 car garage. Spacious master suite with two large walk-in closets, eat-in kitchen, includes appliances and has a gorgeous lake view. Low HOA, Fee Simple. This luxurious 2,796 total sq. 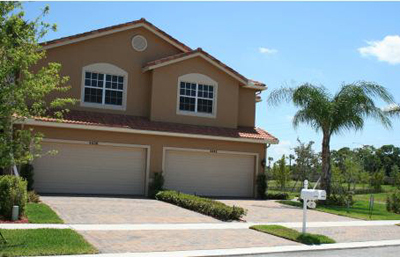 ft. a/c two-story townhome features 3 bedrooms, 2 ½ bathrooms, and a 2 car garage. Spacious master suite with two large walk-in closets, eat-in kitchen, includes appliances. Low HOA, Fee Simple. Created by the renowned Holiday Organization, Colony Lake is a peaceful and serene lakefront neighborhood of just 53 townhomes. Behind its beautiful gated entrance, Colony Lake is the perfect home for those with an eye for details and value! Details like two-car garages; dramatic volume ceilings; laundry rooms on the second floor; and spacious master suites with dressing area and two walking closets. These are just few distinguishing features that differentiate Colony Lake from the other communities. Colony Lake’s spacious eat-in kitchens re-establish this area as the natural place for both conversation and culinary creation. Separate living, dinning and family rooms, make it ideal for family gatherings and for entertaining friends. And to ensure sweet dreams nightly, the master bedrooms were designed to indulge your every desire, with roomy His and Hers walk-in closets and sumptuous master baths featuring dual-sink marble vanities, oversized Roman soaking tubs and separate stall showers. Complimenting the elegance and luxury of your new home is a handsome main entrance, community swimming pool, cabana bath and children’s wading pool. Colony Lake offers the perfect Central Palm Beach location.The community is within minutes of the fantastic nightlife, restaurants and shopping offered in Downtown West Palm Beach. Yet equally close to the fun sights and sounds of Atlantic Avenue in Delray Beach. The area’s popular Old Key Lime House is also just down the street, while the Lake Worth downtown offers an array of unique dinning experiences.